Tuesday – October 14, 2012 11:00 a.m. – 12:15 p.m.
For America, the early 1960s fell in a time of uncertainty. Russia had launched Sputnik, President John F. Kennedy was elected, the U-2 spy plane was shot down, and the civil rights movement was gathering momentum. Best-selling author Broughton Coburn takes us on a journey to find the heroes that the country was looking for. They appeared, of a fashion, in the form of a loosely-knit clan of fiercely brilliant, iconoclastic men with poet beards and laser-like eyes. 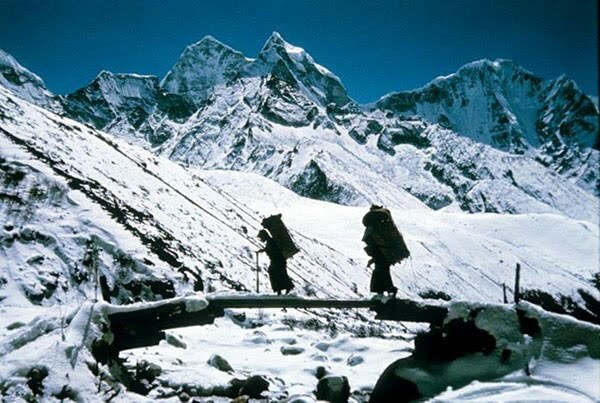 The 21 members of the 1963 American Mount Everest Expedition converge in the world's highest range at the tail end of the golden age of Himalayan climbing.